Anglican and Catholic theologians meeting in Durban, South Africa from May 12 to 20 are confident their dialogue will make significant progress in bringing their churches closer. The theme for the third phase of the Anglican-Roman Catholic International Commission or ARCIC III is to explore the Church as Communion, local and universal, and how to discern correct ethical teaching together. 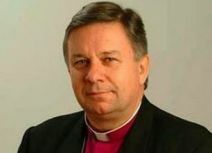 Archbishop David Moxon, the Anglican co-chair of the talks, said that new collaboration in mission has progressed. Moxon is the Archbishop of Canterbury's representative to the Holy See and director of the Anglican Centre in Rome, Vatican Radio reports. He said, "We're on the verge of something quite new which will bear real fruit and that is joint collaboration in mission." Moxon said key to this is Pope Francis' homily at St. Paul's Outside the Walls in January during the Week of Prayer for Christian Unity. The Pope said humanity must walk together now as if unity was a reality. "I think that's opened the door to a whole new way of understanding each other" said the archbishop. Fr. Tony Currer, who heads relations with the Anglican Communion at the Pontifical Council for Promoting Christian Unity, said Anglican and Catholic theologians hope to provide something of benefit to both churches. "The importance of the dialogue for both Communions is that we're living in the same world, facing the same problems … we have a traditional heartland in the West where we face problems of secularism … and a culture that is becoming estranged from its Christian roots … at the same time, we've got expansion in the 'global south.'" Archbishop Moxon hopes ARCIC III will shape the next commission report, now half completed. He said the report will cover three areas: what the churches have in common and why; what they do not have in common, looking at the potential for agreement, and where they disagree. The report will also look at "Receptive Ecumenism," or how each church can approach the other in collaboration, citing the recently established Global Freedom Network as an example of this. Archbishop Moxon believes it will take three to four years to complete the report. He would like to see it being "a document that not only ecumenists are interested in…but (it) will contain a shared theology on the way we make ethical decisions, a shared theology on joint mission, a kind of manual even for mutual collaboration on the ground at home." Despite criticism of a lack of progress, ARCIC has achieved notable goals, said the archbishop. "We have an agreement on the Eucharist. We have an agreement on Baptism. We have an agreement on the priesthood, essentially, and we have agreement on the Church as communion – these are things that didn't exist 30 years ago. "We can co-preside at each other's weddings. We can share ecumenical Liturgies of the Word, Ash Wednesday liturgies – impossible 40 years ago. So God walks through history a decade at a stride and you can't measure this in a year at a time…."